Join us for a reception to welcome our Class of 2018! 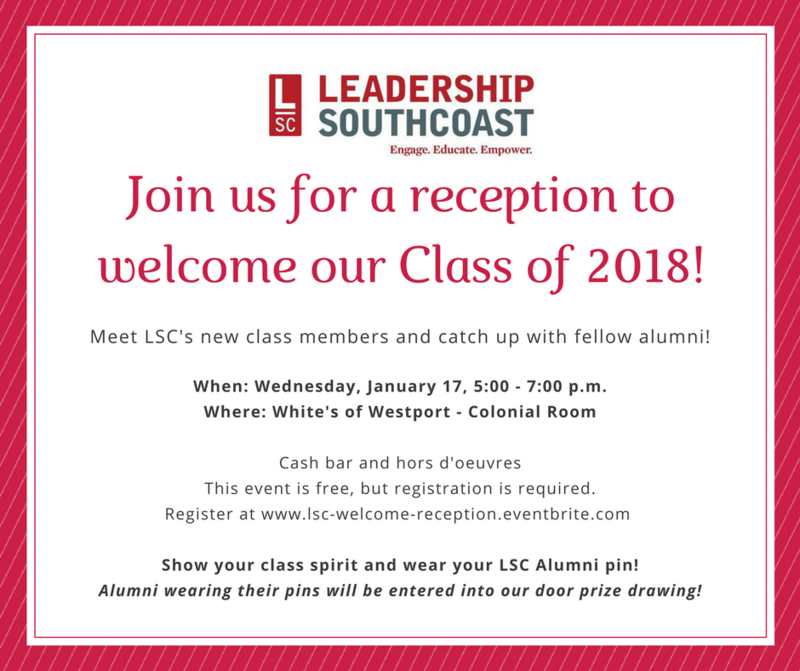 Meet LSC’s new class members and catch up with fellow alumni at our 2018 Welcome Reception on Wednesday, January 17 from 5:00 – 7:00 p.m. at White’s of Westport. previous post: Submit your proposal for LSC’s 2018 Community Action Projects!